Jillian Godsil says the personal insolvency laws are not designed for ordinary people saying she had no other option but to file for bankruptcy. 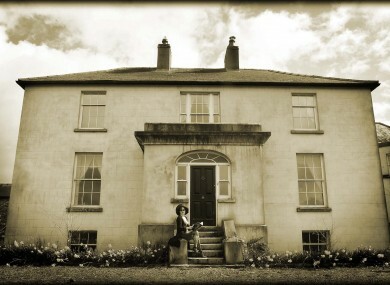 Her former house in Wicklow. JILLIAN GODSIL FIRST came to the public’s attention when she tried to sell her Georgian mansion on YouTube. Once a successful business woman and a proud owner of the Wicklow mansion, things began to unravel. Following the closing of her business and the end of her marriage she soon found herself in financial difficulties, falling back on her mortgage repayments and finding herself with an unsecured bank loan of about €1 million. This week, Godsil filed for bankruptcy, ending her struggle with her debt. “I do feel relieved. This is something that has hung over me for over six years,” she told TheJournal.ie. However, she said it was not over, and that she is uncertain of what lies ahead. She also criticised the Personal Insolvency Act, stating that it does not help the ordinary people that are in debt. She said that when she found herself in financial difficulty she did what she was supposed to and tried to work with her bank. “In 2011, I tried my best to sell my home, even posting it on YouTube for all to see,” said Godsil who said that she was successful and received an offer for the house for €500,000. “I went back to my bank with the offer, but they turned it down,” she said. In 2012, an offer of €220,000 was received and turned down again by the bank and in 2013 the court put a repossession order on the house. “It was okay, as I had not lived in the house for some time, but what really got to me was when I heard that the house had finally been sold in January of this year – for €150,000,” she said, adding “if the bank had have taken my original offer, they would have at least half of their money back with them, instead of selling it at one tenth of the original price,” she said. “This is why banks should not be able to make commercial decisions,” she said. However, she said she soon realised that the insolvency laws were “rubbish” and were not going to help her. “They don’t work for two reasons – the bank can veto your application and the personally insolvency practitioner (PIP) comes at a cost and you can’t navigate it yourself,” he said. “I was basically too broke to get into the system. You have to have some money to apply under the Personal Insolvency Act as the PIP can cost up to €3,000 which is a lot of money to someone that doesn’t have it, and there is no guarantee that your application will go ahead, which is what happened to me. The bank vetoed my application and I had no other option but bankruptcy,” she said. Godsil said that while most people fear going bankrupt, she feels a sense of relief. She said she would have like to go to UK to avail of their laws, but she said that that option is really only there for the big players who can afford to re-locate. She criticised that the laws brought in that were meant to protect the ordinary people are not effective. “I haven’t seen the house in over a year, but of course it all preys on your mind. But now that I am bankrupt, for the next three years, any money I earn, they can take half. There is no incentive to work. I want to work, but the bankruptcy system just doesn’t incentivise it. They are penalising the have nots,” she said. “I was listening to Joe Duffy the other day and there was a woman speaking about her debt, and she said there was no laughter any more in her house. Joe said to her that she was still standing, but she said they were falling. I thought it was heartbreaking. It is tough, things are so bad for so many, and that is not to be forgotten. A lot more supports are needed, there is no doubt about it,” she said. She said that it didn’t have to be this way and having gone through the system she said that there are definitely things that could have been done differently. “People didn’t have to be treated so badly,” she said. Godsil said that if it wasn’t for the help of the Irish Mortgage Holders Organisation she wouldn’t know where she would be, stating that they helped her navigate the legalities and court system. “It can be very daunting in court having lawyers and judges look down at you while they discuss your finances,” she said. Email “‘I’ve given six years to my debt, tried selling my home on YouTube and now I’m bankrupt’”. Feedback on “‘I’ve given six years to my debt, tried selling my home on YouTube and now I’m bankrupt’”.